For the past three years, the School of Fashion has presented graduate collections during New York Mercedes-Benz Fashion Week in the month of September for the Spring season. 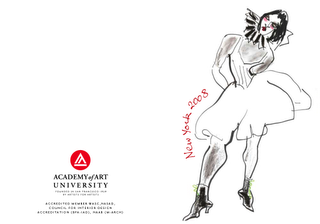 For the first Fall / Winter season, February 2008 saw the Academy of Art University on the calendar. Collections are now divided by season to be shown during the appropriate fashion week in New York City.